Both clubs have come a long way since that chilly night in Lyon, Juventus more so than Lyon though. 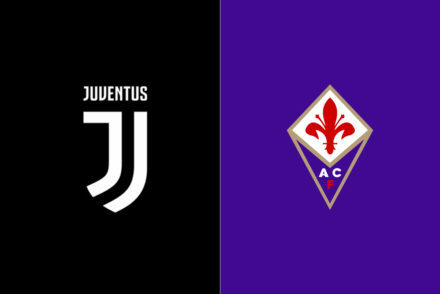 Since their last meeting, Juventus won their fifth consecutive Scudetto whilst Lyon have gone another year trophy less but moved into their new stadium. 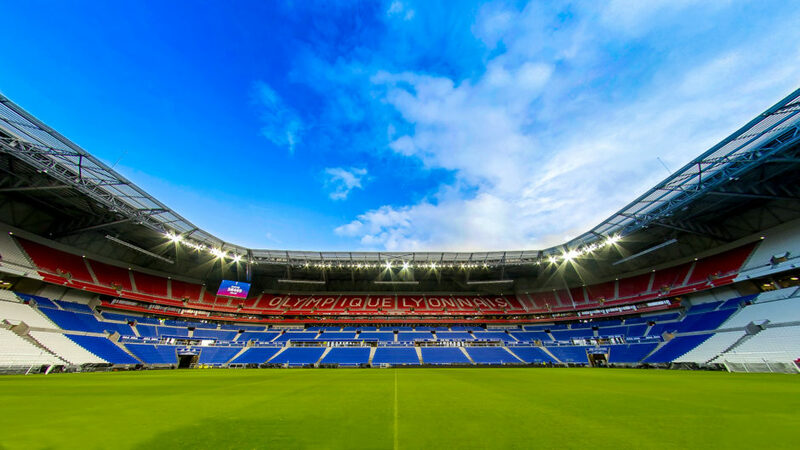 Like their illustrious opponent, Lyon became the first French club to own their stadium. There are two completely different teams facing each other tonight, compared to the two teams that stepped out on Stade de Gerland in 2014. Both have lost players, and brought in new faces. In addition, one familiar face will be returning to Lyon tonight, and its former Lyon player Miralem Pjanic who spent 3 years with Les Gones. Pjanic joined the Bianconeri this summer from Roma. Les Gones lost their star defender Samuel Umtiti to the Spanish giants Barcelona earlier this summer, and replaced him with Marseille’s Nicolas N’koulou and highly rated Argentinian defender Emanuel Mammana who misses out due to sickness. Juventus come into this game having seen their midfield star Paul Pogba move back to Manchester United, but replaced with Pjanic. Another familiar face to the Lyon fans is former Marseille midfielder Mario Lemina who joined the Old Lady last summer. Lyon will be hoping that their home form will help them tonight, having won 14 in 15 at Parc OL. There’s no doubt that Juventus are clear favorites tonight, but Lyon captain Maxime Gonalons stated that his young side will cling to hope, because they know they are capable of great things. And Gonalons is right, we’ve seen Lyon perform against the very best and won. Both sides are struggling with injuries, but Lyon are much stronger now than they were two years. The OL team that gave Juventus a run for their money over two legs in the 2014 Europa League QF was arguably weaker than the current team. The side contained an inexperienced Lyon side, a young Nabil Fekir and Corentin Tolisso who’s gone on to become one of France most consistent midfielders and one of Lyon’s most important players. Having improved their midfield with signing of Spanish international Sergi Darder, and the rebirth of Corentin Tolisso, Lyon will feel that they are arguably stronger collectively than the current Juventus midfield. Whereas they will be strong in midfield, Lyon’s biggest weakness this season has been their defence. In terms of quality, Lyon are slightly stronger now than they were back then. Better fullbacks, no Kone but the loss of Umtiti has been massive for the young Lyon side. They are very shaky at the back and the likes of Mbiwa and N’koulou has to be wary of the talented Argentinian duo of Paulo Dybala and Gonzalo Higuain. 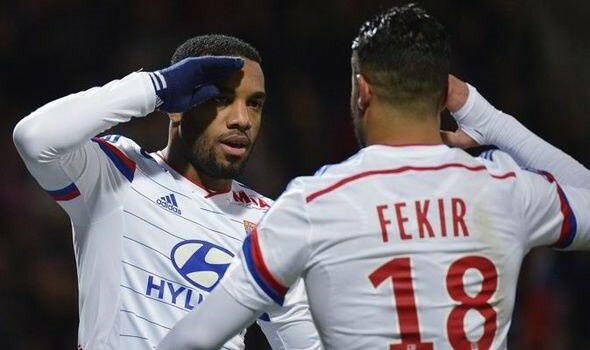 Lyon’s front two in Alexandre Lacazette and Nabil Fekir are huge threats; the pair start their first CL game together. Juve’s defense will have to be on the lookout for the skillful, and quick feet of Fekir. Fekir is very talented, great on the ball, intelligent and almost back to his best after a year out with an ACL injury. Lacazette is obviously now a well-known name in France and Europe. Having been played out wide for most of his young career, Alex was then reverted into the middle when Gomis and Lisandro left. Having led the top scorer chart for 2 seasons, Lacazette is one of the best young strikers in Europe. Quick, strong, not only a great finisher but also creates room for players around him to score. Much has been said about Lyon having lost a lot of their prestige in the last few years, due to PSG’s rise as a domestic protagonist. Nevertheless, Lyon remains of the biggest clubs in France even though they might not dominating side they used to be. They are currently the best academy club in Europe, having overtaken Barcelona. 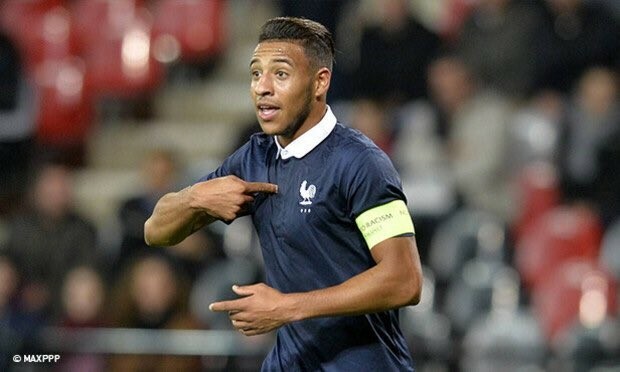 Tonights starting 11 will contain six academy players; one to look out for tonight will be Corentin Tolisso. Coretin Tolisso has come a long way in the last 12 months. He rejected Napoli this summer, a move that could have seen him suffer the same fate that his colleague Paul Pogba is currently suffering. The young midfielder stated that he decision to stay at Lyon was a choice of heart. In a time where young French players leave too soon, some for the money whilst the lure of England attracts them, it is a refreshing sight to see players like Tolisso staying on out of loyalty. In the past 12 months, Tolisso has progressed and became a key player for Lyon. He’s captained the side in Gonalons and Lacazette’s absence and is currently the captain of France U21 side. Compared to Pogba, Tolisso is progressing at a faster rate. 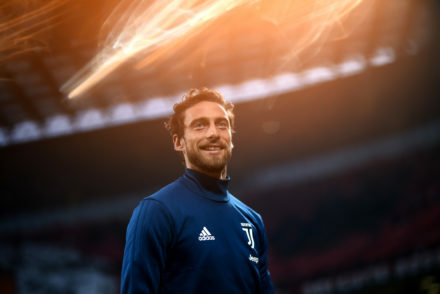 He is tactically aware, technically proficient, disciplined, powerful, more versatile, a greater threat in front goal, shields his defense and more importantly has a good head on his shoulders. It is important to emphasis that I am not necessarily saying Tolisso is better than Pogba, but he has done more to improve his game over the year than Pogba. Were the Old Lady to be interested in replacing one French midfielder with another then Corentin Tolisso is their man, a quality midfielder who has proven himself in every position he has played in, whether it’s been RB, LB, LWB, AM, CM and even DM. He is currently playing as a false nine for France U21, a role that has seen him score 4 in 2 games for Les Bleus. 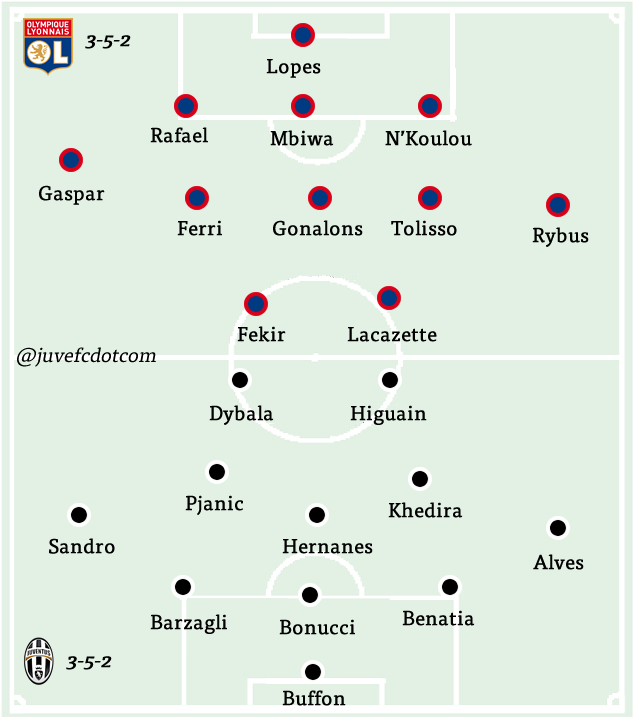 I expect Juventus to beat Lyon tonight. I don’t think it’ll be an easy game but experience will be the decisive formula for a Juventus win. Expected Lyon XI: Lopes; Rafael, Mbiwa, N’Koulou; Gaspar, Ferri, Gonalons, Tolisso, Rybus; Fekir, Lacazette.